Activation of the new version. Upgrade from Free Version. Re-enable PRO version. Please use the activation procedure only if you don’t see “PRO” on the title. You can activate your Free Version or disabled version due to change of the Machine ID or full NinjaTrader reinstallation. If your version is already “PRO” you don’t need to activate it and a license key won’t be accepted. Enter your user name and valid email address, and enter a license key in the MarketReplay Add-On User Registration window. Read the license agreement to check the corresponding field. Press “Register” button. For reference please proceed to the How to Use MarketReplay Downloader link. Navigate to Register/Activate menu item. 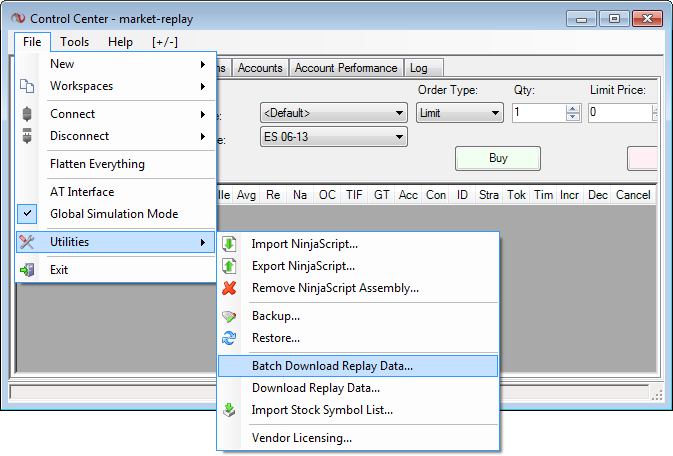 Enter your license key in the MarketReplay Add-On User Registration window.